September Started Out with an Impressive Rally! The slew of reports due tomorrow and Friday, will determine if this market will visit 1093 followed by 1106 or if this is the extend of the bounce. If I had to guess based on the momentum, I would say there is a good chance we will visit the 1100 area but of course this is just a guess…. 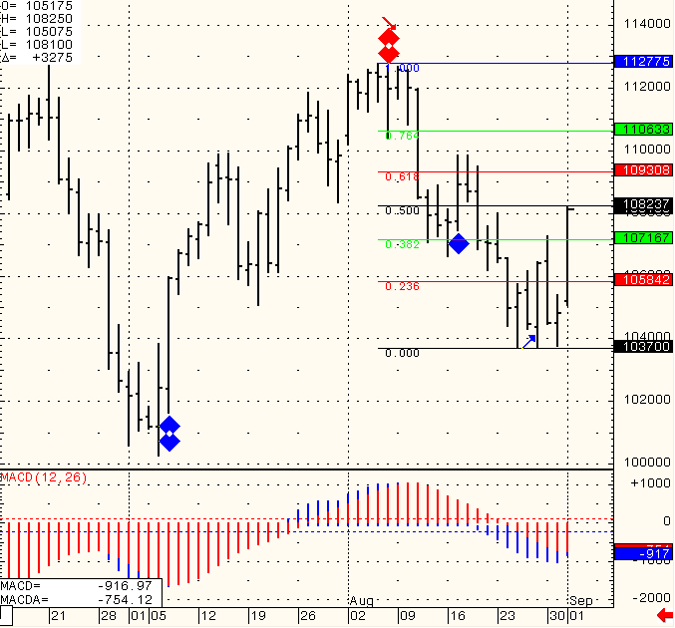 Daily chart of Mini SP 500 for your review.